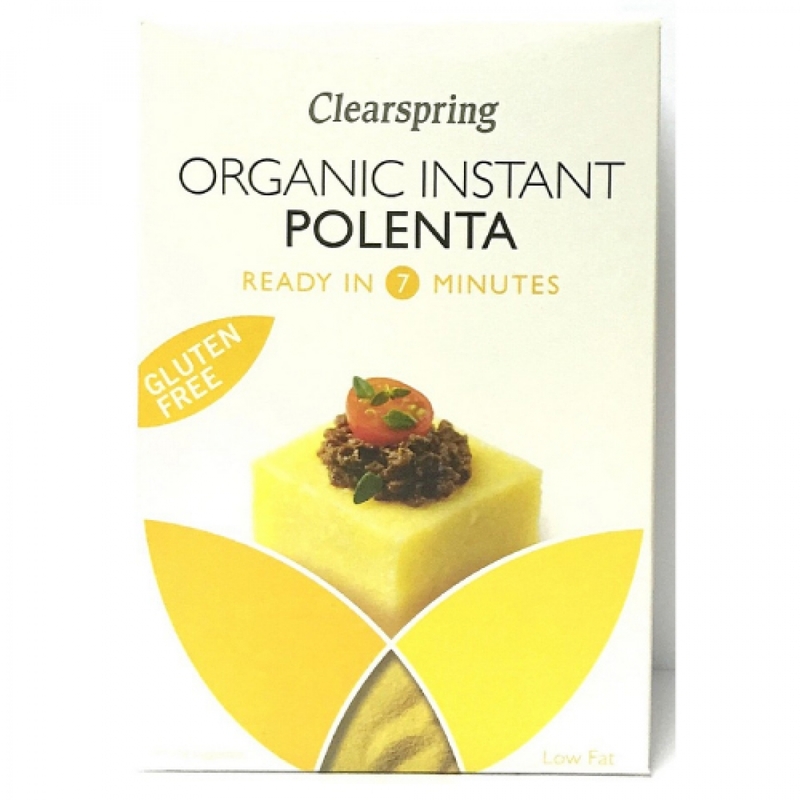 Clearspring Organic Gluten Free Instant Polenta is made from finely ground golden yellow Italian corn. Ready to eat in just seven minutes, it has a soft, creamy texture when cooked and can be served instead of pasta, rice or potatoes with roasted vegetables, stews and casseroles. It can also be cooked, left to set and sliced, baked, fried or grilled until brown and slightly crisp on the outside. For one serving, bring 250ml of water to the boil. Gradually add 50g of polenta, stirring continuously. Simmer for 7 minutes. Season to taste after cooking. For extra flavour use stock instead of water.